There’s a certain kind of love that compels me to travel up North every now and then. Must be the weather, must be the food. This post will be focusing on the latter. 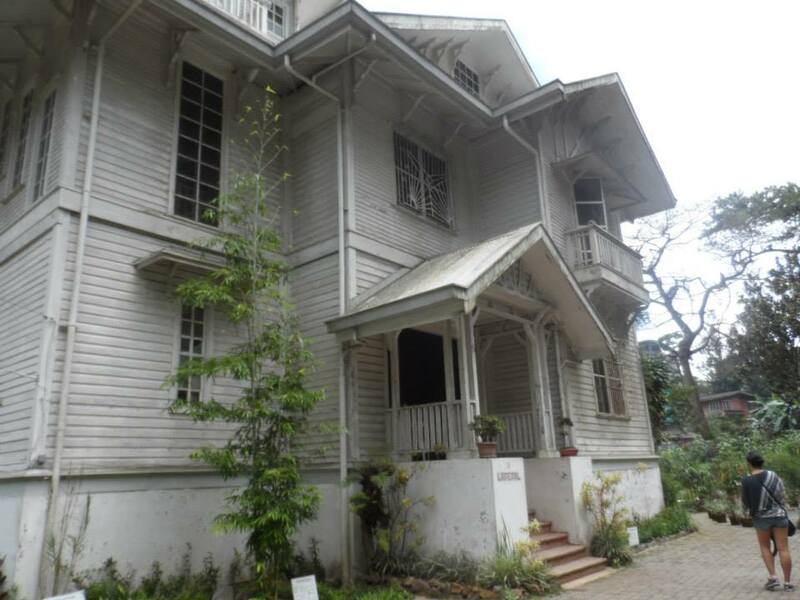 Cafe Sabel is the restaurant within Bencab Museum. 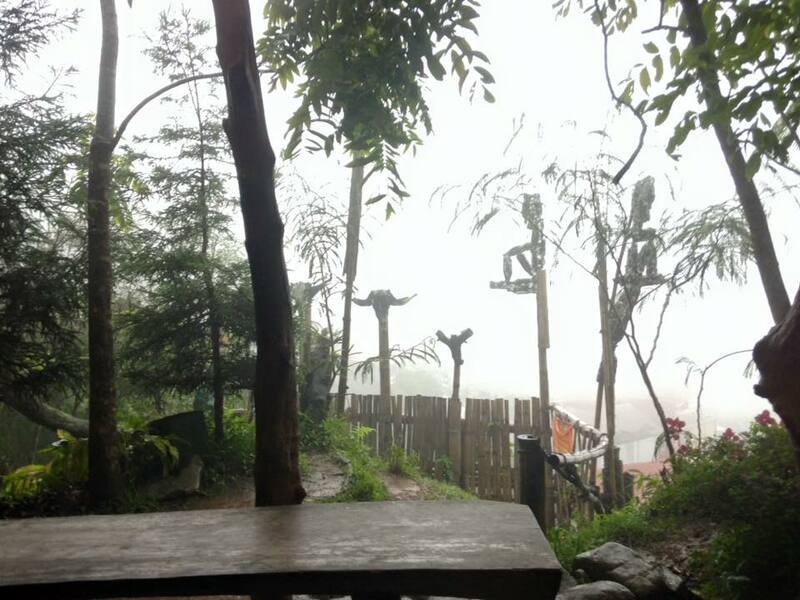 The restaurant has an artsy interior and a breathtaking view of the Benguet mountains. A cup of coffee would actually suffice (the view was already filling to the soul), but since it was a little past lunch time, I had to order something heavy. 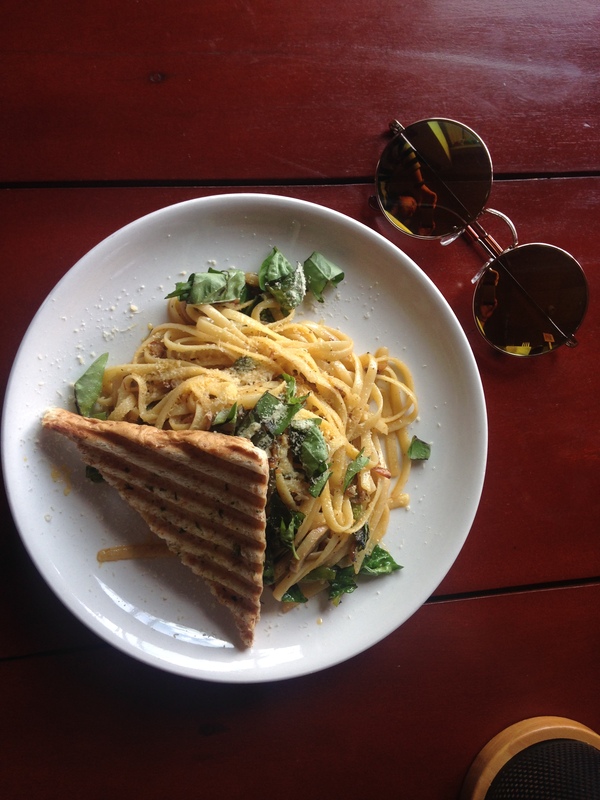 I opted for the Tuyo Pasta. I liked that it wasn’t too salty but still flavorful – there was a hint of herb, of cheese, and of tuyo (dried anchovies). It was a tasteful delight to the palette. Boyfriend had the chops. It was rather ordinary, if not for the fresh siding. Vizco’s Strawberry Shortcake!!! This is something you just can’t miss when in Baguio. Creamy and dreamy, just the right amount of sweetness. 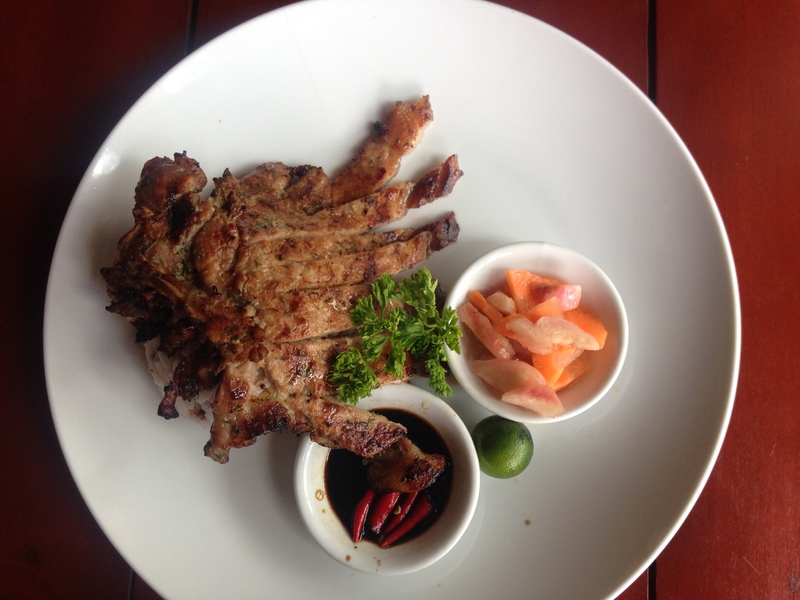 I’m so craving now, wish we had Vizco’s here in Manila. Oh My Gulay is one of the most popular culinary finds in Baguio. 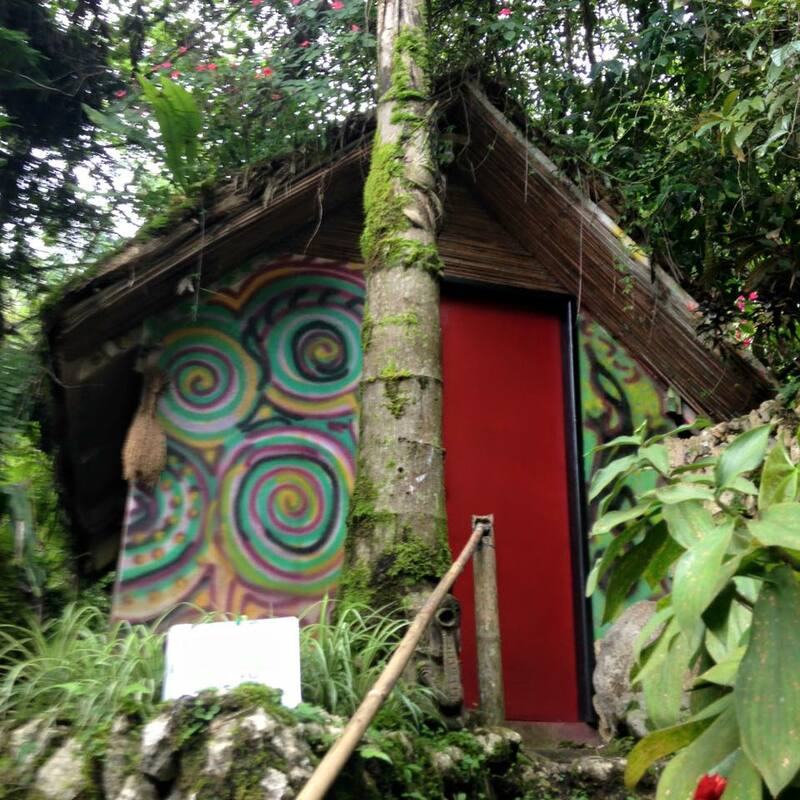 Owned by artist Kidlat Tahimik, it’s a restaurant and a gallery in one – the most beautiful too, methinks. 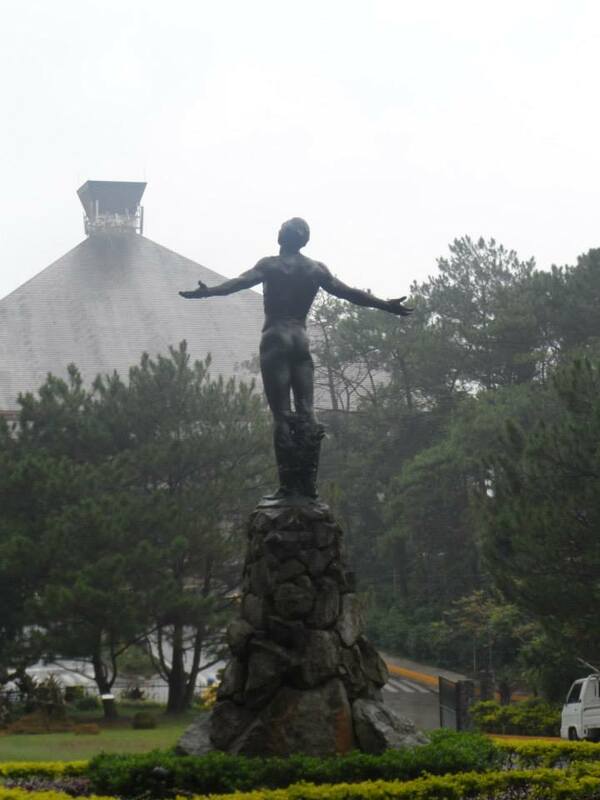 I personally consider this one of the most memorable places in Baguio. Not only have I spent afternoons here after researching for my thesis, I met and had the most sensible tete a tete with artist Willy Magtibay. I believe that conversation persuaded/lead me into actually going to the direction of Artsafter Graduation. Well, that was too much an introduction! My favorite from Oh My Gulay is their Bulaklak Tempura (Deep Fried Pumpkin Blossoms) but was unfortunately already phased out (WHAAAAT?!) so I opted for this Kabute (Mushroom) Pasta instead. Must be because I was never a fan of purely vegetarian dishes, I felt some “meat” taste lacking in the pasta. The Sili Omelette, however, was nice and cheesy. 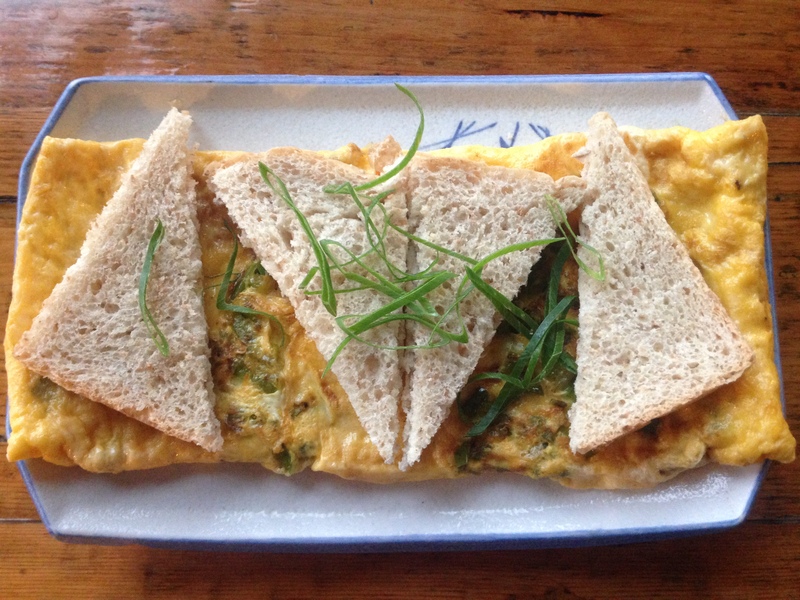 I always loved omelettes and have been used to having omelettes with only veggies so I had no issue with this one. Don’t let it fool you though, it isn’t hot nor spicy. OMG’s Clubhouse Sandwich was as fresh as it could be. It didn’t bother me that the egg was substitute for meat. I actually kind of liked it, like it was a healthy breakfast sandwich of some sort. I loved the fruity, sweet, and tangy salad dressing! 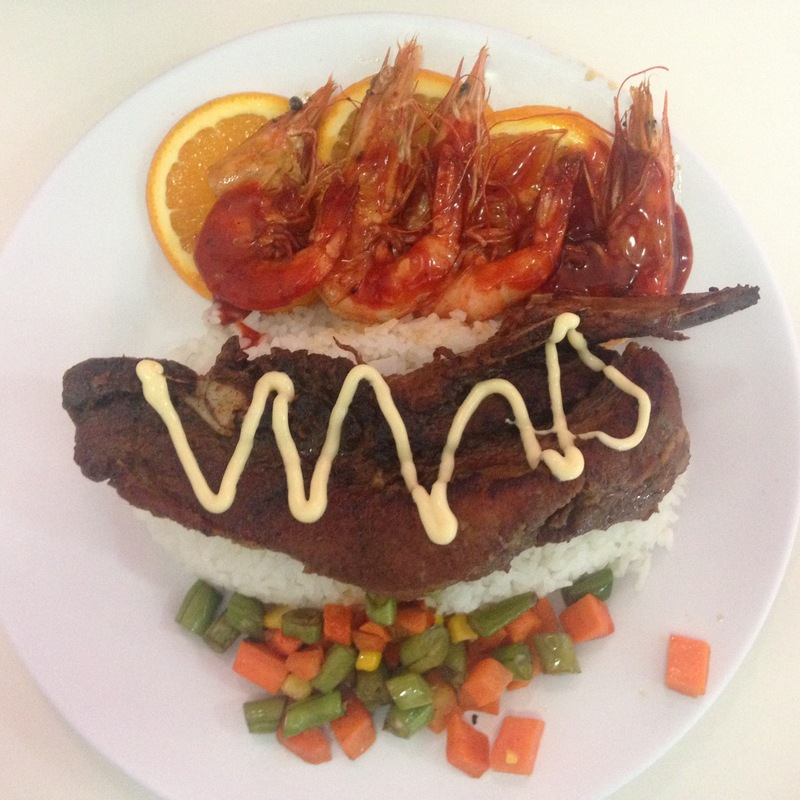 50’s Diner is one of the oldest establishments in Baguio. Best known for its Hollywood themed interiors,you’d see posters of old movies hanging on walls. I just hope the Jukebox still works though! This is also one restaurant that boasts of grand servings so just had to had She. 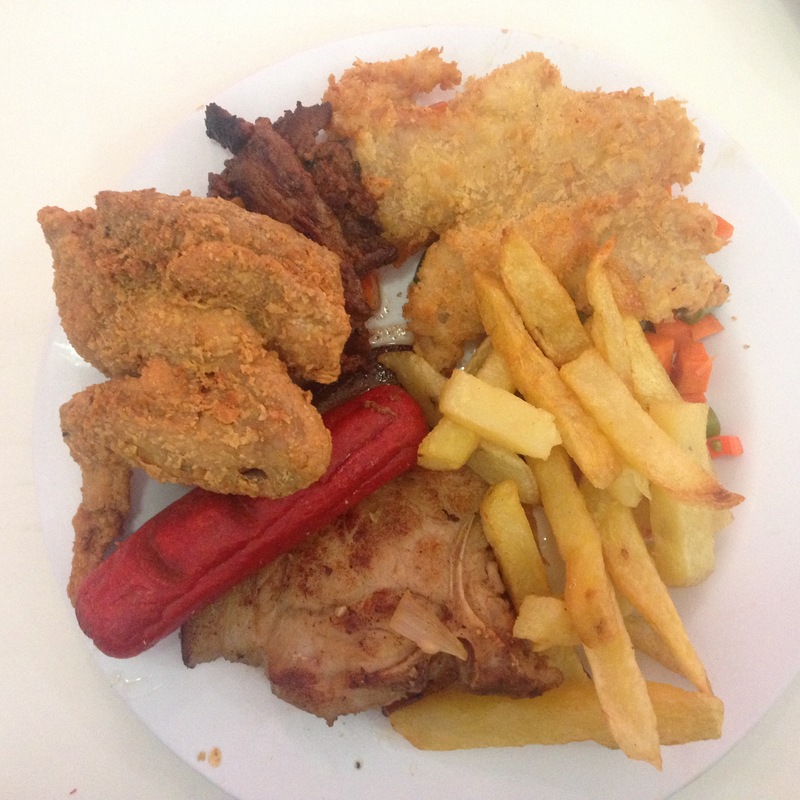 It’s actually a protein plate – with beauty all mixed and mashed up – pork chop, chicken wing, beef sirloin, fish fillet, hotdog, french fries, and mixed vegetables, all golden fried. Taste was nothing spectacular though, or maybe I was already full upon first sighting. Boyfriend had the Gambler’s Choice. It was a heavy plate too. It had beef chops, prawns in barbecue sauce, and mixed vegetables. Nothing spectacular again. For days, we had breakfast at the Tam-Awan Village Cafe. I was very impressed with how they fused the normal food fare with traditional flavors of the north. 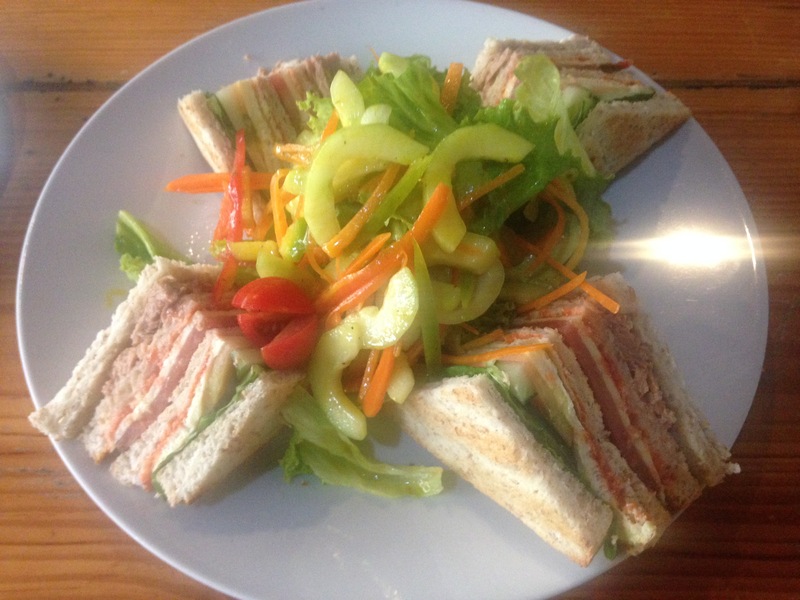 For example, their clubhouse sandwich had etag (fermented lean pork) instead of ham and bacon. Taste was more smoky and flavorful. 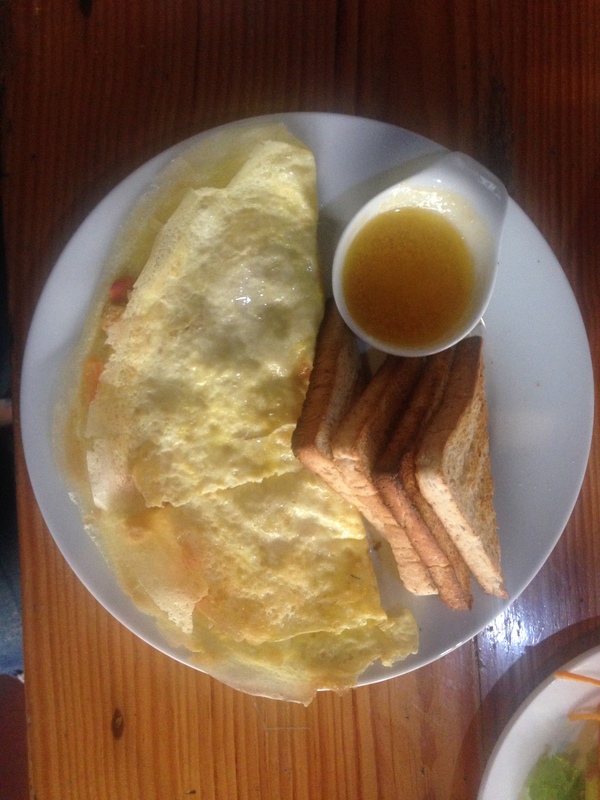 As for their omelette, you wouldn’t get butter alone for your toast. They mixed in honey, which is one of Baguio’s best produce, to give a tinge of sweetness to the savory breakfast. 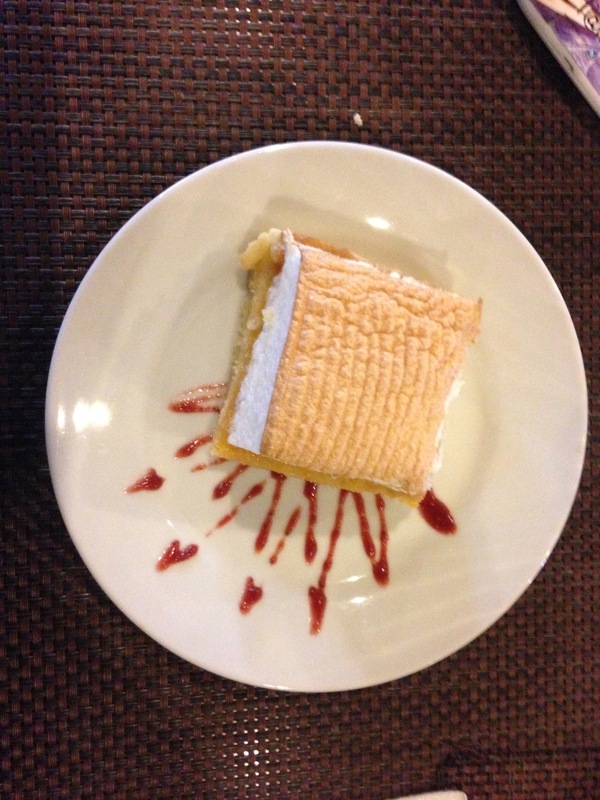 We also dropped by Hill Station for sugar fix one afternoon. 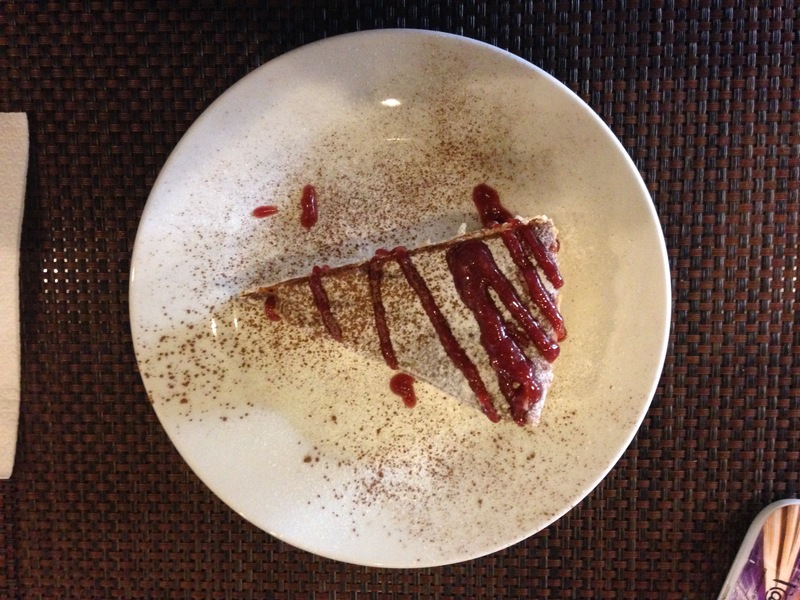 We sampled on their New York Cheesecake, which was smooth and creamy, nothing special though. I’ve developed an instant liking though with their Lemon Meringue Bars. It gives the right tang when you’re already having a feeling of “umay” from all the sweetness. For the boyfriend’s Birthday Lunch, we opted to just stay in the Village and have a helping of their Cordilleran dishes. Boyfriend chose Pinikpikan, as we missed this during our trip to Sagada a year ago. 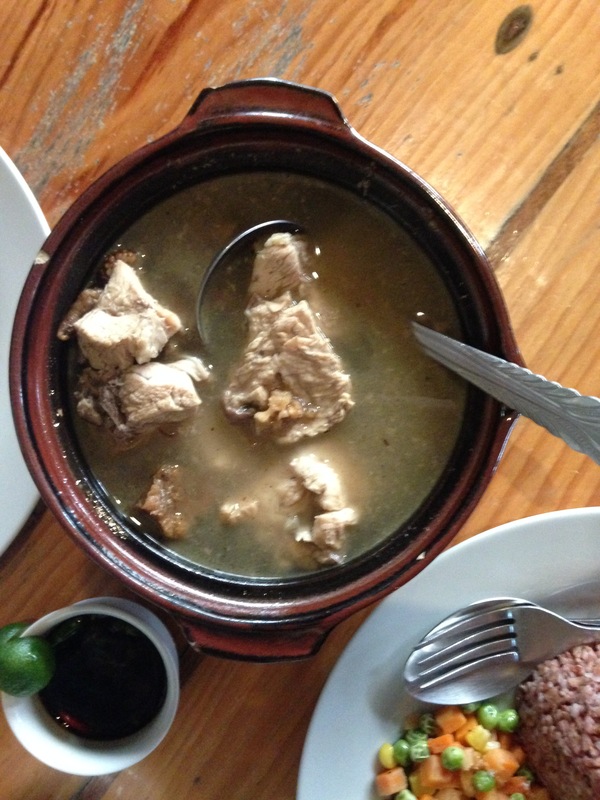 Pinikpikan is basically a chicken stew much like tinola, only more savory. Its root word “pikpik” directly translates to “light beating”, a process the chicken undergoes for its preparation. The dish originated from Cordilleran ritual of sacrifice for special occasions. The Village’s version had thick broth with mostly fleshy parts of the chicken and a few etag strips. Etag’s strong flavor greatly enhanced the broth, lending a smoky and salty flavor to it. I had kini-ing. It looks like liempo, yes, but undergoes a rather complicated method of preparation too. Kini-ing is mostly left under the sun to dry, but is smoked only when it rains. These are thinly sliced and possesses a smoky flavor. But do not mistaken this for etag, kini-ing does not undergo fermentation. Before we left Baguio, artist friends insisted we try dining at Good Taste. It was kind of hard to find, but if you’re wondering, it’s actually near the bus/jeepney terminal to Sagada. There were a LOT of people when we visited there. It isn’t an upscale restaurant so don’t expect too much. Good thing though we were a bit observant of what other customers were ordering. The other table, which was only a group of three, ordered fried rice. Thus, a BIG bowl of fried rice was served in a matter of minutes, it would have been good for 8 people. Upon acknowledging the fact that their servings was hefty, we had the rice meals instead. 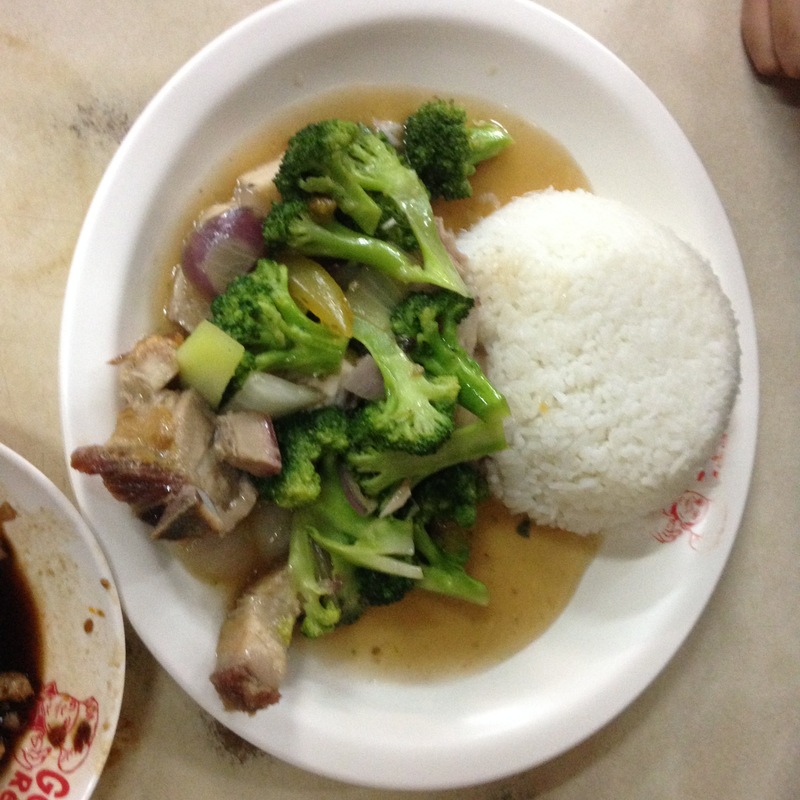 Boyfriend had Lechon Broccoli. Big serving, big taste. This one did not disappoint. Oh cmon, it’s lechon! 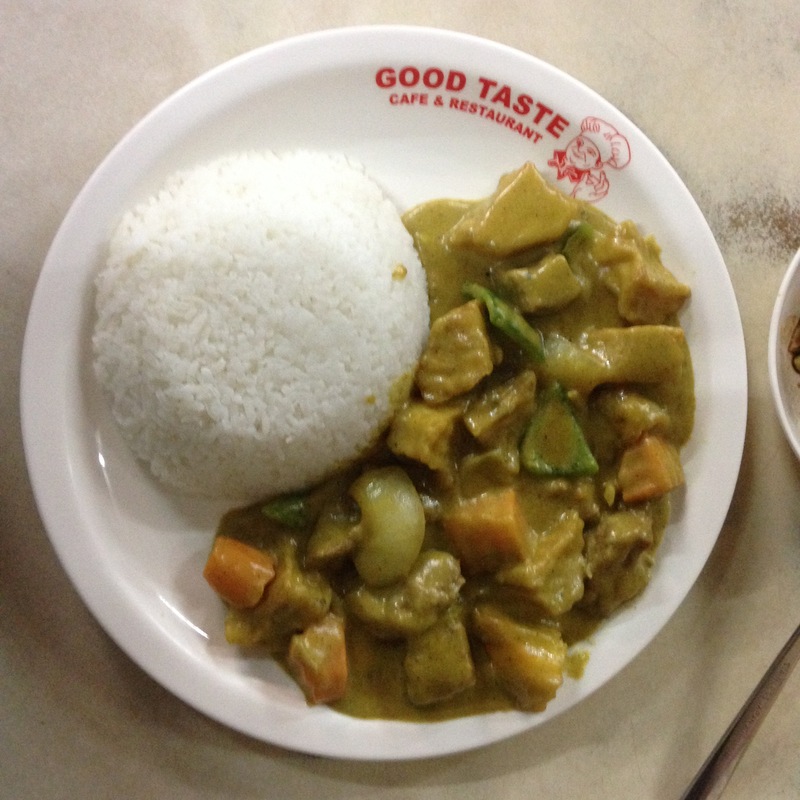 I had the Beef Curry. From the smell alone, I knew they used a powdered mix. There was nothing to be overly happy about my order, except for the fresh green bell peppers perhaps. 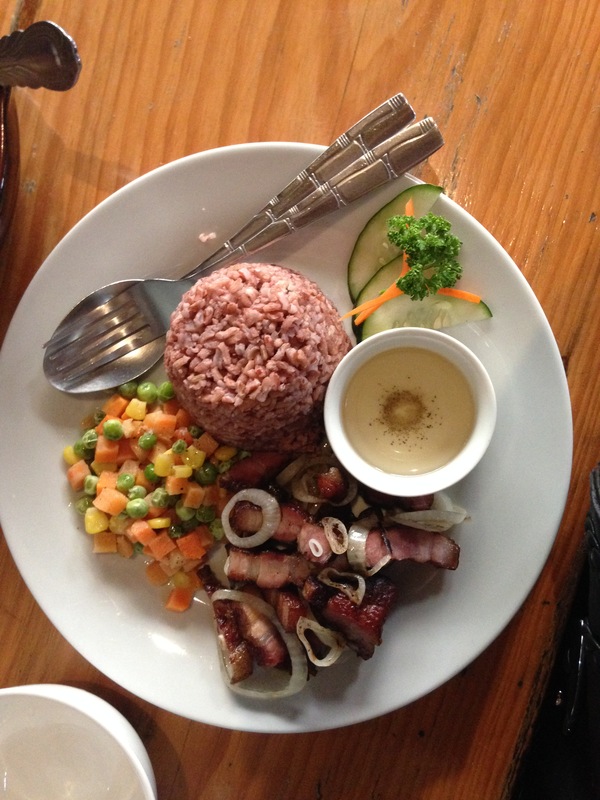 These are but a few of the many restaurants to dine in Baguio. I might do a better food crawl in the next visits. I need to have my boyfriend sample more food choices from Cafe by the Ruins, Tsokalate de Batirol, the Slaughterhouse, Ketchup Food Community, Sage, Solibao, Chef’s Home, and the list goes on and on. Thus I assume, this one will be the first of many other Baguio food posts. I don’t remember saying “We’d see the entire world together”. Or maybe I did, but entirely forgotten because a few memorable places would actually already do. Remember when I told you I’m taking you to Baguio? In my head I was actually telling you I’m taking you home. And just a month ago, I did. As promised, we took the midnight bus. We did not have the luxury to recline our seats as we missed the bus we’re supposed to take. I would have wanted to keep the curtains open for you to watch the outside pass us by, but I chose that you take rest instead, for mostly, the ride we took were all freeways in sight. The sun had already declared its might by the time we arrived. I briefed you of my soon-to-be tendency to point out random places and tell stories of what happened then and there. You let out a small laugh because I have already started right before I warned. We jetted to Tam-Awan Village after that. We were greeted with a massive wall of graffiti my friends did for the village. It looks brighter and a lot less gruesome than it had been. We were welcomed by my old friends, whom to you are new. But at that moment, I knew you knew what I meant how faces become places and how places become faces. Their sanctuary has also become ours. You insisted we take the trek past the view deck before leaving. You loved how the weather afforded us a sweat-free trek up until the borders of the village. We hopped on to museums – of people and works you knew. Might have been because you met them once, or I acquainted you with them as per stories told then and there. We took the road up to meet the Oble of the North. I roamed the halls I used to roam. Some ten years ago, I was here, without any idea we’d exist here at one point. 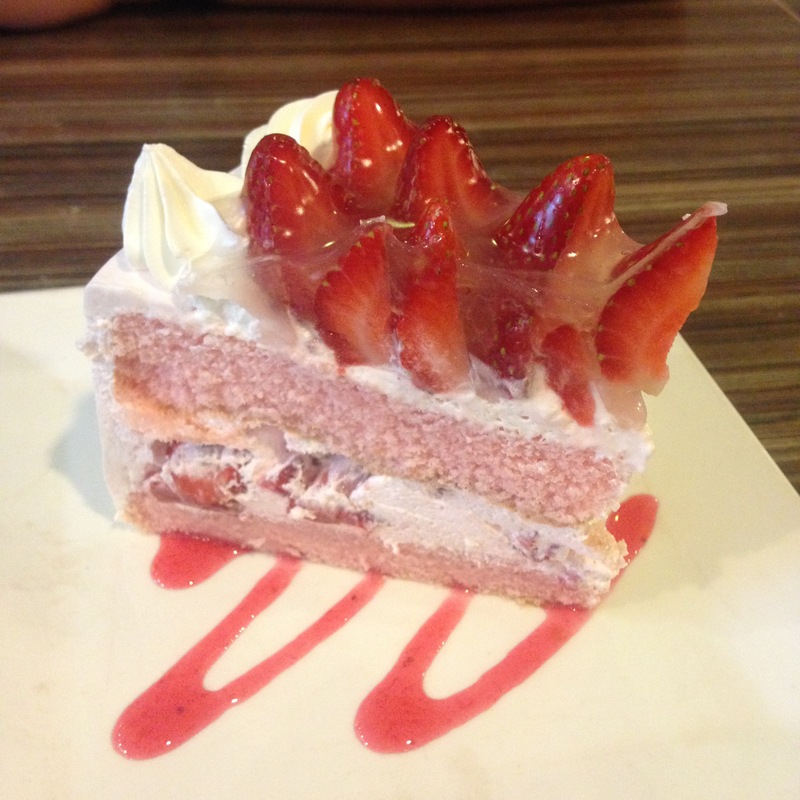 The night has finally put on its veil just as the rain poured, we sought refuge in a cafe because I promised to give you a taste of the best Strawberry Shortcake. I knew you’d find it not sweet enough, you requested for a slice of Apple pie. 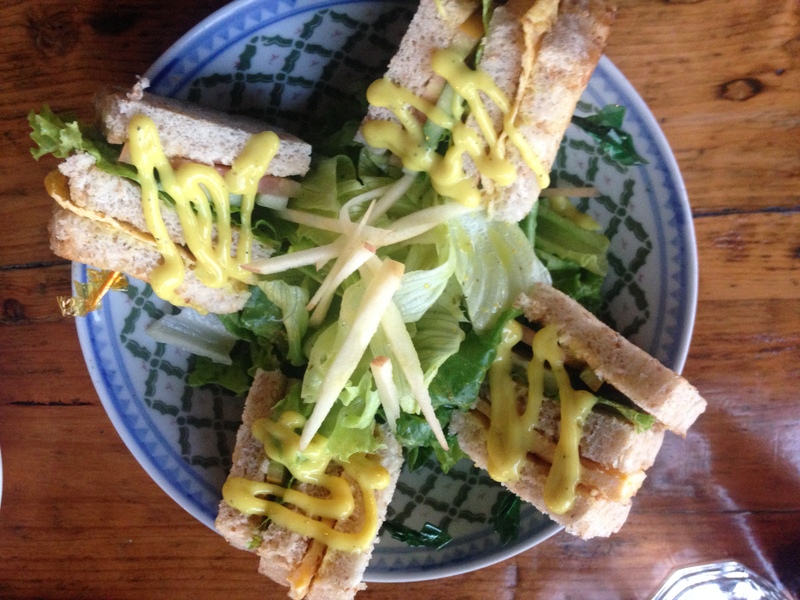 We felt we needed something to refresh our palette so we crossed Session Road and headed to an artsy vegetarian restaurant. I know I promised you a glimpse of a lesser known road but equally beautiful as Session, but the weather did not afford us – it was washed white from where we stood. Oh, it was that night you took literally The Magnetic Fields’ The Night You Can’t Remember – deluded with alcohol, you forgot how you wounded up in our room the following morning. And I, of course remembered, how you took a cold shower and jumped to the bottom bunker naked. 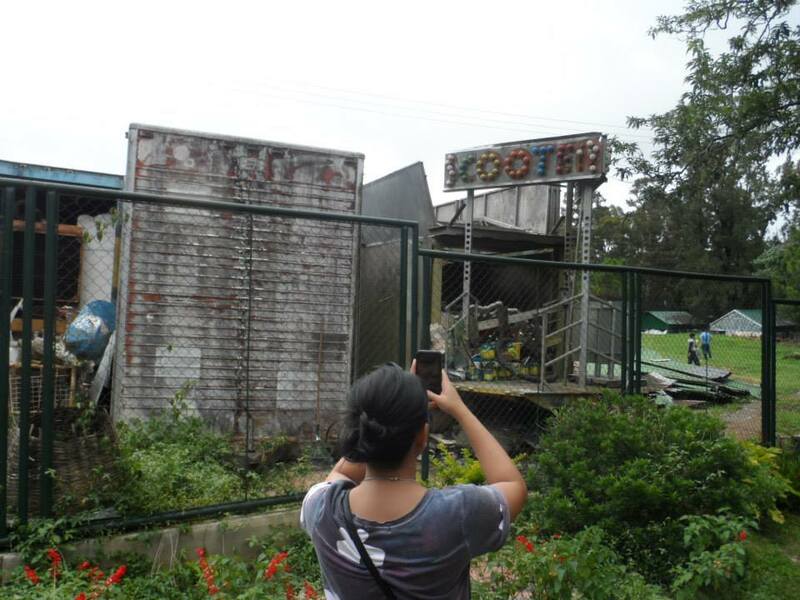 The next day was a stroll on Baguio’s scariest. I must say, I am one lucky person – to have someone like you who looks at these kinds of places with utter admiration of beauty and history rather than what they are shallowly known for. I love how you marvel and wonder like a kid presented with an idea that aliens exist or something. And of course, you made the same face when confronted with a plate full of meat and protein. We took a cab home that evening. It was a toil getting one along Session Road, but it was along the trip you admired Baguio’s city lights. You struggled to take a photo from the moving vehicle. I laughed a small laugh and slipped into my mind that image of you in awe of Baguio’s lights. I took you out for touristy things the following day. You knew this was not my forte, I hated to do this actually. 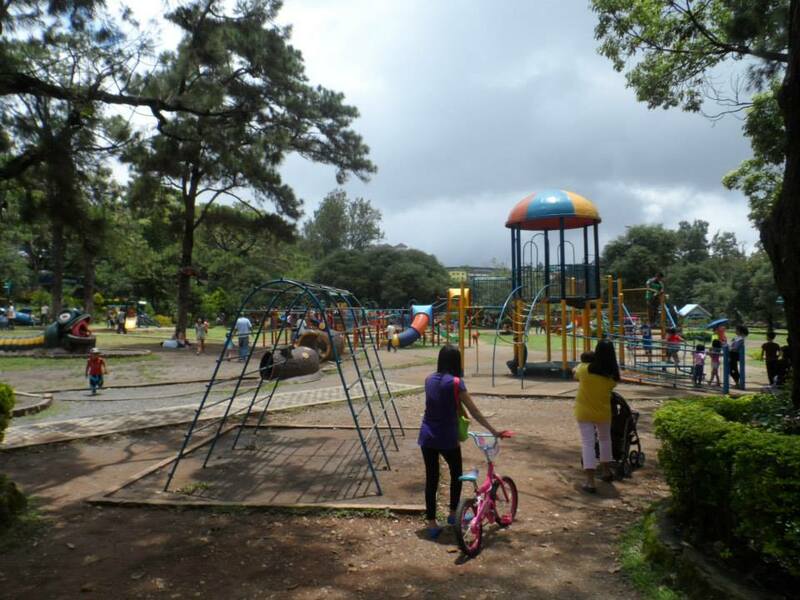 We strolled Burnham Park, maybe I just had to lend you stories which unfolded there – afternoons at the playground and some moments affront the lake. We judged a few people because it was what I used to do there. We felt a pull towards SM Baguio, you insisted we watch a movie for sixty pesos. But that was then, two hours spent at the cinema now costs a hundred and fifty. Well, still not bad these days. We stayed a little while at Harrison as we did thrift shopping that evening. It was not really your thing, but I got you sniffing around looking for vintage shirts you could parade and be proud of. We woke up early the next morning to oblige for everyone’s pasalubong requests. I took you to the outskirts of the wet market – not everyone has ever been to where vegetables from La Trinidad or Sagada is dropped off, not everyone sees how vendors wash their goods onsite, and not everyone knows there’s a fifteen peso kilo of carrots there. We no longer left the village after that. We strolled back again to the roof deck, but we caught rain. We missed the sunset, which beauty I promised you forevers ago. However, we were presented with a dazed view of the mountains and South China Sea. We stayed there for a little more while, unmindful of the sharp shudders, without need of a coat, a jacket, or a warm cup of coffee. It’s like a cheesy scene in a movie bound to make you cringe and giggle at the same time. I thought the trip would be totally over when we set foot at the bus. On the way down Marcos Highway though, you pointed out again how beautiful Baguio’s city lights were and how it kind of reflected the serene night sky. Just when I thought we missed that part on the beginning of our journey, you brought it to me even before it came to an end. I kind of smiled myself to sleep, knowing those days have been very exhausting, but promising and exciting. We may not have been able to tick off all that was in my Baguio checklist, but I was glad to have brought you to my heart’s home. Now, it’s yours as well. I have read about this guy who put a tattoo of a world map on his back and inks the states/countries he has already travelled to. Unfortunately for me, I do not have the guts to undergo such procedure, and even if I make “magmatapang” I have skin asthma anyway, so, boo! Luckily, I found this app/website which features the map of the Philippines and a checklist of provinces. The colored ones are the places I’ve been to. Apparently, I’ve travelled most to the north – because I love the north. I’m a C-. Well, I haven’t listed Puerto Princesa and Surigao yet. I still have hope. Vying for C+ at the end of the year! I think I will have to do this every year just to inspire myself to go new places. Also a reminder that my passport is expiring in 2 years, so I better go to a foreign land again. It actually feels like saying, I am taking you home. People normally beat the five to eight hour travel to Baguio for a glimpse of the Lion, for a walk up Mines View Park, for a stroll around Burnham, for a taste of strawberries, and for a million pictures they could post on Facebook and Instagram. It is a heartless journey; sad to say. I won’t be taking you to those places. I’d take you on a different travel. We’ll take the midnight bus. We’ll draw the curtains to the side and watch everything outside pass us by. I’ll ask you to close your eyes as soon as we get into the freeway. No, it won’t give you an infinite feeling as that of Charlie’s; but I’d let you feel what it is like being somewhere and nowhere at the same time. You’re moving, but stuck. You’re lost, but not really. You have to recline your seat upon arrival at Pangasinan and La Union, I’d like you to look at the stars and how clear the sky is. You’ll notice a great difference when we arrive at Baguio. You may take a nap after the admiration, but I’ll wake you up when we’re already mid-way Marcos Highway. You’d open your eyes to the sunrise overlooking the mountains and the sea. I’d point the direction of South China Sea and watch your face glow, with awe and wonder and a teeny bit of sunshine. We’d get off the bus and tell you to exhale on your hands and watch your breath become visible. I’d laugh because you’re another of those I asked to do it and did. We’d walk around and get breakfast somewhere. I’d tell you this is where my blockmates lived, this is where I would’ve marched for Graduation, this is where a white lady shows up, this is where I was almost robbed of my phone. We’d rest in a familiar place. 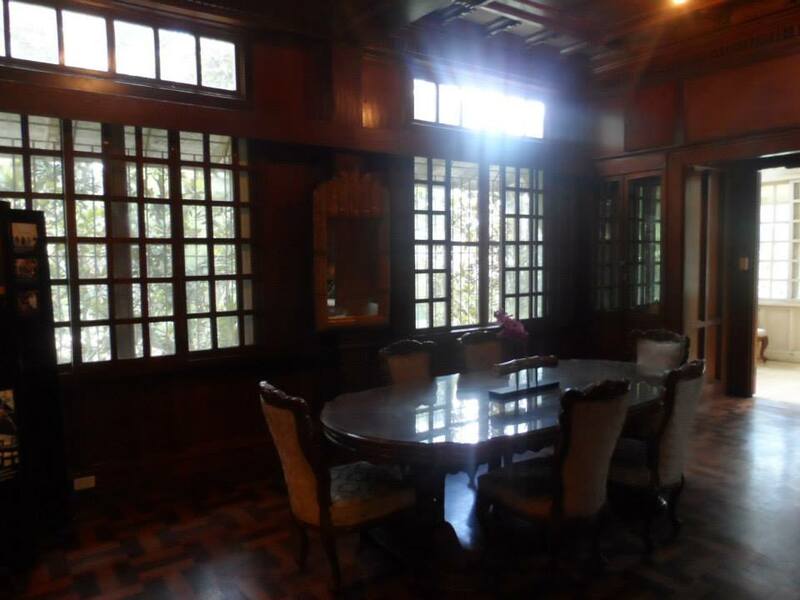 I might even request them to have the fireplace set up for a Baguio newbie like you. We’d walk up and down Session Road. We’d pay a visit to the Cathedral and its chapel. We’d take the stairs at the side so I could show you the tilework which seems to say, This way to the Cathedral. We’d say hello to my friends over at La Azotea. 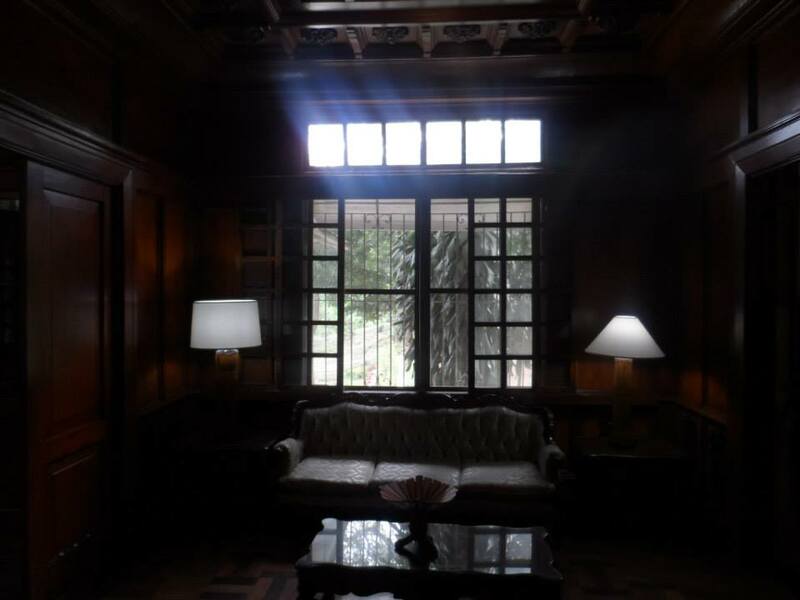 I’d show you their small gallery and sit by the window for a cup of Cordillera coffee. We’d look over a busy, beautiful, but less-known road. Its beauty overshadowed by the famous Session Road. We’d continue walking and stop at thrift shops. We’d wonder at how cute and cheap Japanese toys are, but we’d be disappointed and sad upon finding out they no longer work the same. I’d get you a leather jacket you’d only get to wear here and bury in your closet once we get to Manila. 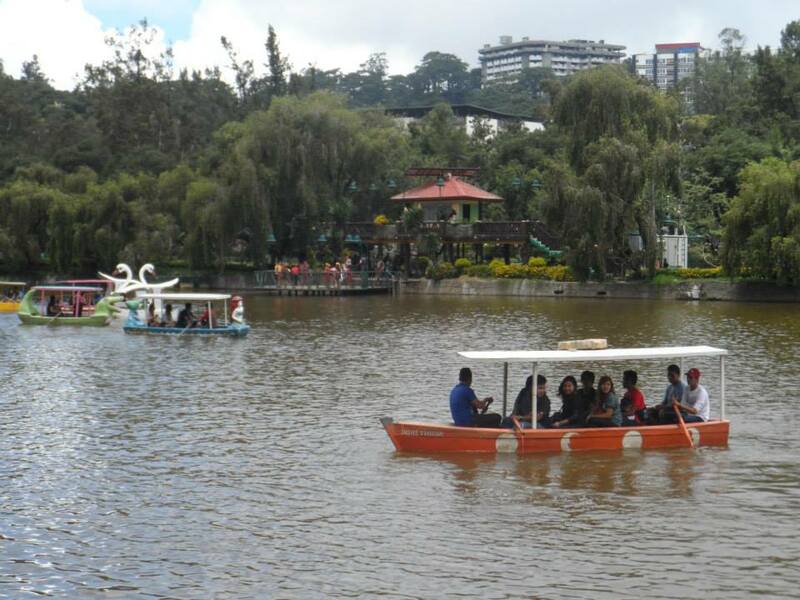 We’d walk farther, to Burnham Park this time. I’d take you to the lake. I won’t tell you the story that existed here. You know it, you’d think about it for a while, and smile. We’d walk across Burnham and up the hill leading to the Café by the Ruins. We’d stroll a little back to get a jeepney leading to Tam-Awan. We’d hike up its slopes and rich terrain. 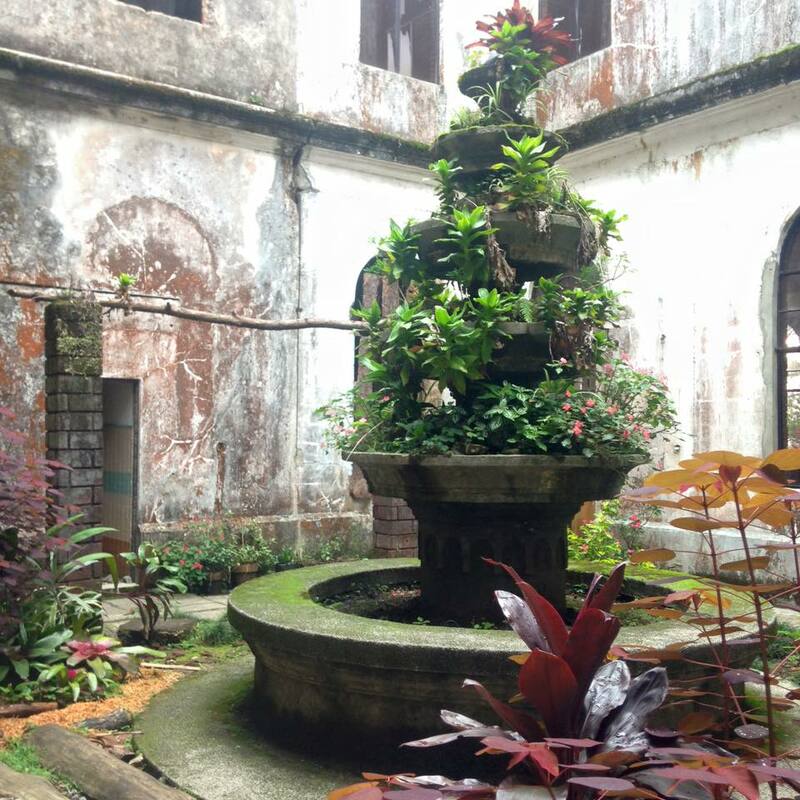 We’d enjoy throwing coins at its bamboo wells. 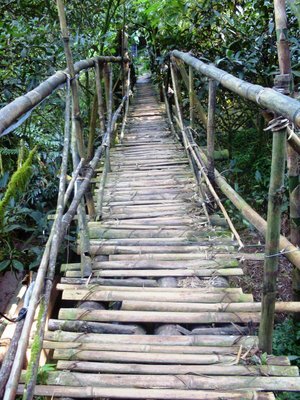 We’d cross its hanging bridge. We’d get a massage at one of cottages. We’d stay at the view deck and wait for the sunset. We may not be able to see the South China Sea on a cloudy afternoon, but this is, beyond doubt one of the most breathtaking sunsets you’d ever have. We’d stay here until sundown, after the artists have finished their sketches and are already dancing in the dap-ay. We’d drink with them and eventually stay at their cottage because we’re too tired to travel for the night. We’d be greeted with Cordillera coffee in the morning, and freshly baked bread, and herby scent of pesto. We’d bid them bye and head on to my then school. I’d tour you around and introduce you to yet another Oble. We’d cross the street and pretend I am marching for my College Graduation. We’d decide to go to the Botanical Garden next. No, we won’t take photos of the locals in colorful costumes. You know I despise that. We’d walk (again) instead and follow the trail to the Greenhouse and sneak at the ongoing exhibition inside the house made of scrap bottles and plastics. We’d take closer looks at uprooted trees and flora. We’d walk even more until we reach Wright Park. We’d throw coins and make impossible wishes in the rectangular well. We’d take a rest at the hills and take a book out to read because taking photos of with The Mansion as background is too boring and mainstream. We’d take a jeepney ride back to the City proper. I’d point you to this and that, to the haunted Teacher’s Camp, to the haunted White House, to the Pink Sister’s Chapel, to Korean Restaurants, To Diners, and to schools around. We’d climb the only mall that exists in a hill. We’d drop coins and use the telescope at the top floor. We’d watch a movie because it’s cheap at Php 60 per screening. We’d view the entire city and look at it as if it existed in our palms. 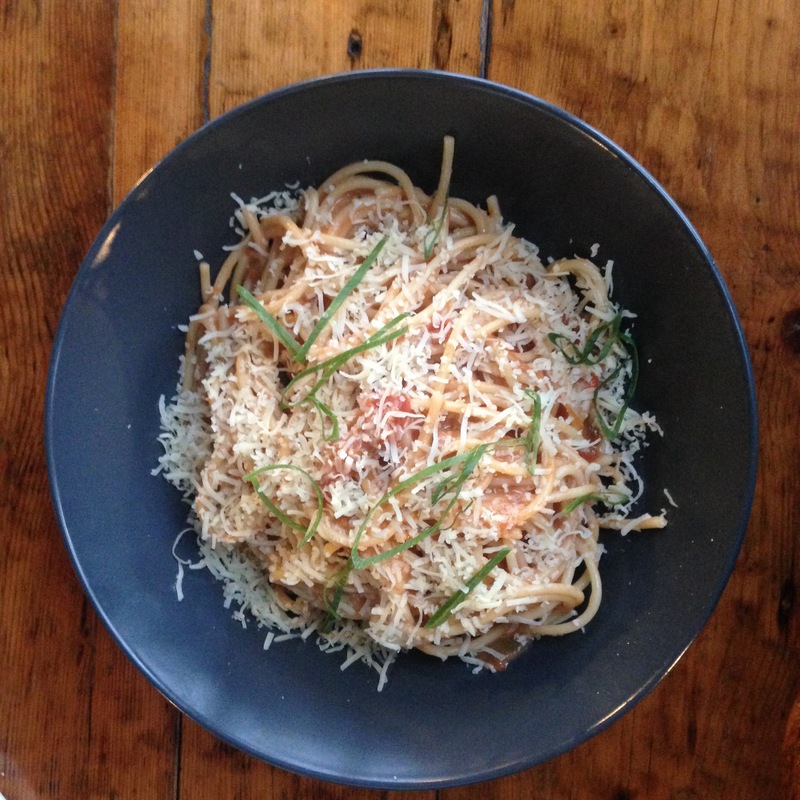 We’d stroll a little further for a Pizza and Pasta stop at Volante’s. I’d tell you stories of how I met friends here whenever I visited. We’d consider going to the market by then. We’d get our friends dreamcatchers, and pasalubong because they are suckers for that. I’d tour you around. From where the best Ilocos longganisas are, to where the cheapest vegetables are, to where the biggest and most literal ukay-ukays are. We’d take a cab home because we have too much to carry. We’d give Manong driver no tip because he might get offended and upset, but we’ll reward him with a warm smile instead. We take a warm bath and spend the rest of the evening preparing dinner then cuddling at the fireplace. We’d leave with happy and contented hearts the next day. On the way home, treading down Marcos Highway, I’d like you to close your eyes and feel how it is again to being somewhere and nowhere. To feel a sense of affinity and longing to the land you just left. To feel what it feels like to have found and left a home. That was my home. It has been yours too. This post was lifted from my personal journal, then published here. Still, I remember her. It’s been more than a year since we both sat in this bench facing the lake. Same warm sun, same cold wind, same paddled boats, same pedaled swans, same dome of yellow blooms above our heads. Same everything – except her. Right there before we have entered the park, I could have said what I felt, what I was suffering from; but her imperfectly orchestrated ways got the best of me. She flew me right to the other end of the rainbow even before I opened my mouth. She was silent until we sought refuge at this bench. She was in between a smile and a frown, in between laughter and tears. She spoke no words – as if I have never taught her to perfectly choose and use them, or maybe, because she felt like they were awkward – more awkward than her silence. We just stared at the lake. It wasn’t actually a beautiful sight. Thus, we sought beauty in the eyes of lovers passing by, in the smile of kids riding their bikes (I still know looking at them makes her happy and envious at the same time). We left with the usual parting words. I would have liked to hug her and tell her things the way I did that cold December night, or simply give her a high five so I can catch and hold her hand – that she’ll find security in me and that I’ll feel assurance in her. Months after, she told me she wanted to talk to me. I asked her to meet me at the library. Eight in the morning. Just us two. She nodded. She smiled. But when I woke up in the morning , a message from her said she cannot make it. She already left the night before for something more important but she promised she’ll save the words. I insisted that she tell me still. I asked, yes I did, and she let out the words. It wasn’t the most beautiful litany – it was more of a random set of words she confusingly put together to make sense, but its chaos was concrete enough to understand what she was trying to say. I did not know. Maybe I found something inadequate, or maybe, I found myself uncertain. Things kept coming and going in and out of my mind. For once, I did not know which words to choose. Seemed to me, a “goodbye” was the only remaining thing that made sense. And that I said – without a hug, without a touch, without a bitter smile. She spoke foreign words as her farewell. I never heard of her since. But sometimes I feel her – in sincere smiles, in soft drizzles, in loud laughs, in smiling eyes, in girlish giggles. Weird though, I remember her in winning playstation matches, in warm well of coffee, in nighttime study breaks, in comic films. and yes, I do think of her and her stars when i brush through Exupery’s The Little Prince. I wonder if she has already turned me into literature – calling me different names, utilizing different metaphors like what she did to my yearbook testimonial. I know she comes here every now and then. I’m just not sure whether she sits at the same spot and feels the same way again. It was our last long walk and talk together. Now i wonder where’d she be. Who she’d be walking with, who she’d be sharing a bench with. But with her imperfectly orchestrated ways, which I actually find interestingly beautiful, she must be flying right now. She’s probably flying to places only a few people could find and explore – but not the way back to me, not even to back to this bench. I’d rather not call you that way, but how else will I? Anyway, something reminded me of you, although I’d rather not be reminded of you in that light. Same news reached me days ago, it coincided with your birthday. It didn’t concern you though, it just made walking down memory quite painful. But that’s just how it goes. You’re way better now anyway. Hope you always will. That, and a Happy Birthday. This is not a teaser, if you would have judged. This is actually my attempt to write about art in a conversational manner. No theories, shallow criticism. Just enough facts and interpretations for everyone to read and understand. I even had to leave it untitled. Comments are warmly welcomed. If the Holy Spirit has descended upon the apostles to bestow the gift of tongues, Kabunyan and all other nature gods must have endowed artists Leonardo Aguinaldo, Edwin Macadaeg, Jordan Mang-osan and John Frank Sabado hands and minds of creativity and ingenuity. These four artists come from the Tam-awan Village Artist Group nestled in Baguio City. 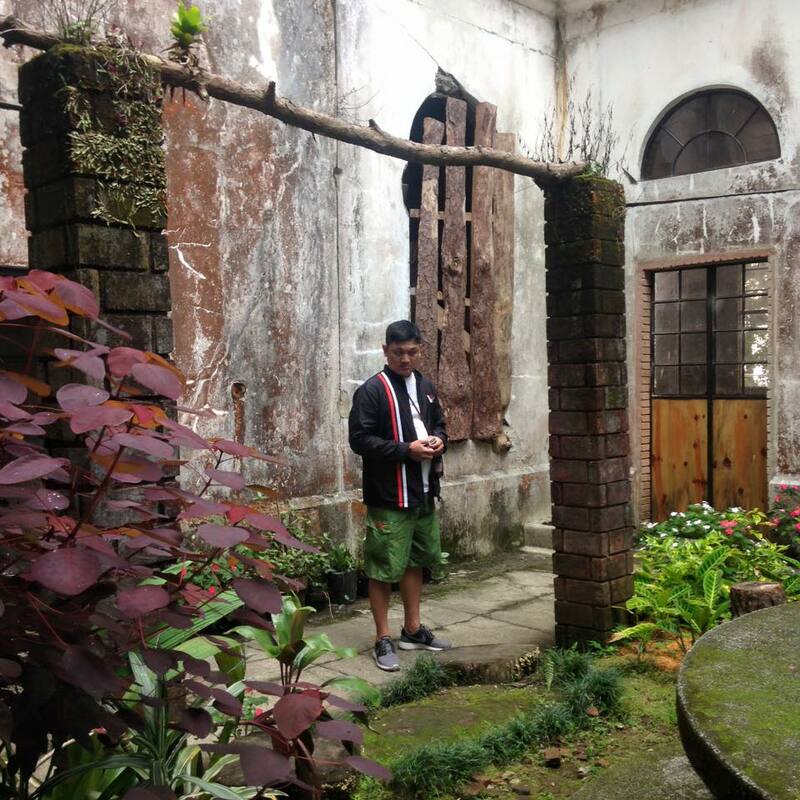 They have lived and noticed the changes, struggles and resilience of the Cordillera art and society. 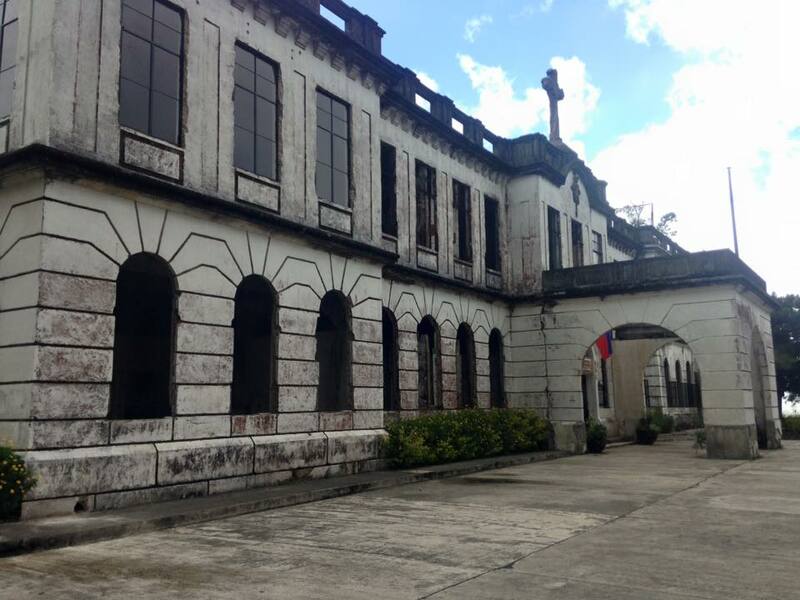 As witnesses of this incessant process, Aguinaldo, Macadaeg, Mang-osan and Sabado can no less mirror and reflect the current situation of the Cordillera through their works of different media. Four Folds is a collection of works which revolve around the Cordillera culture from its pure untainted state, to the infiltration of modernity and technology resulting to the abuse of natural resources and gaps in cultural growth, to the colonial influences, preferences even, and socio-political issues. Working in various media, these artists provide the viewers a multitude of perspectives in viewing and staging the Cordillera culture. Common among the four artists is the incorporation of natural and geometrical patterns which appear in Cordilleran handicrafts and clothing. This manifests the significance of nature in the Cordilleran society such that they include patterns derived from river paths, old tree rings, and crawling vines into vessels, tattoo and jewelry design. These patterns denote the fluidity of the culture – its ability to stand, survive and flourish amidst and along the changes that has existed. Their employment of Cordilleran signs and symbols is also a notable correspondence among the four artists. Their use of different media and their manipulation of these emblems into a variety of ways in order to fully pronounce the message embedded in the images are the features which distinguish the artists from one another. 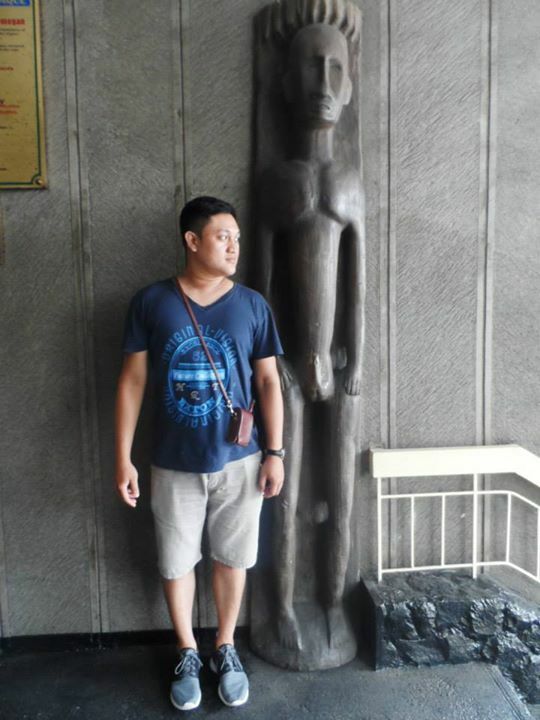 Edwin Macadaeg’s craft is exemplified in his works made of sand. He portrays significant figures such as the bulul (rice gods) bayawak (rice field guardians) and huts in full color, thus exhibiting the lively and interesting way of life in the Cordilleras. Also evident in his works is his careful demarcation of the ground and the sky. This defines the fine line that separates the gods from man. This expresses man’s lowliness as it also pays tribute to Kabunyan, the divine, powerful, and highest of all gods whom they pray and look up to the sky when in grief and bereavement. John Frank Sabado utilizes paint, glue, strings and body fillers for his works. 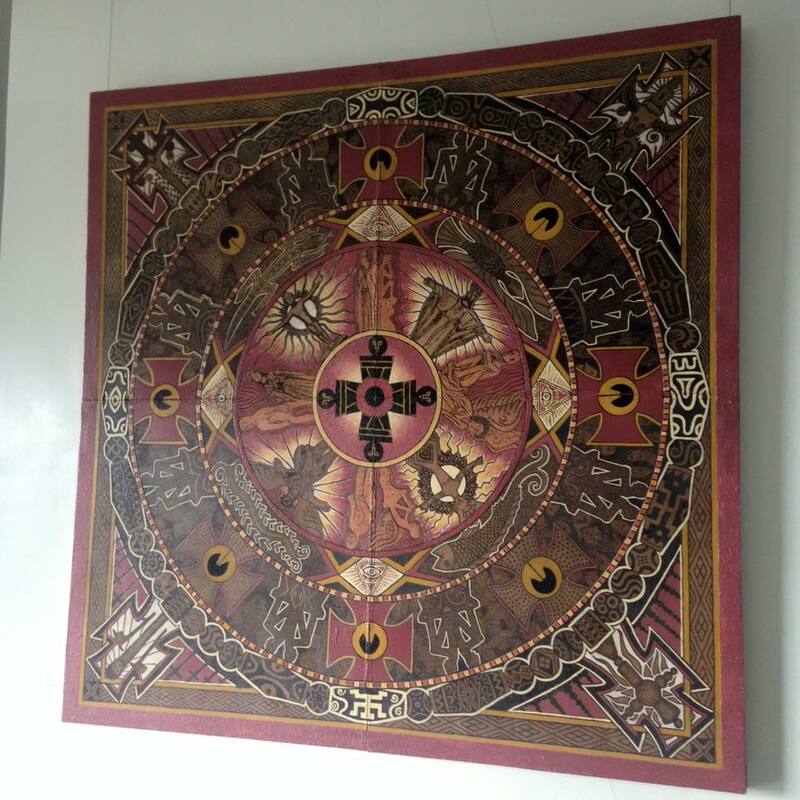 His use of strings as noticeable parallel lines in his works is representative of the Cordillera weaving. His works is a dialogue between the nature, culture and technology. He disperses tattoo patterns on the surfaces signifying beauty strength and courage. 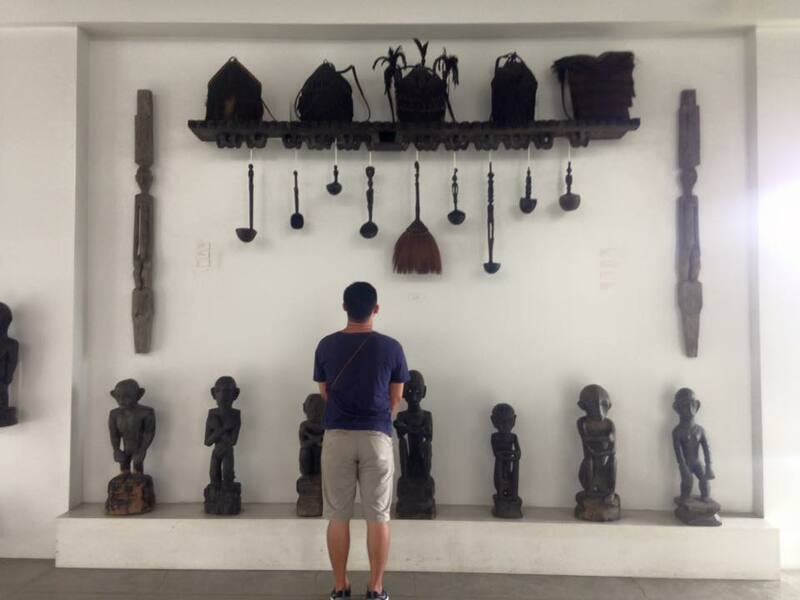 He showcases bululs wearing gas masks gathered together surveying the vast area below them to denote the Cordillerans’ wariness of technology and their resistance against its impending negative effects. Leonardo Aguinaldo utilizes vibrant colors in addressing sociopolitical issues. He discusses the infiltration of technology and colonial culture as a norm in the modern Filipino society by combining familiar Filipino emblems with Western icons. He portrays it in such a way that that it has normally become a part of the people’s everyday lives, neither questioned nor rarely paid attention to. Solar artist Jordan Mang-osan provides large-scale portraits of the important elderly (Maked-Se and Mensip-Ok) complete with bodily ornaments, including the Bu-aya which is a necklace believed to possess supernatural powers. His three-paneled work of portraits derived from the faces of people around him resonates the identity of the Cordillerans. Its overlapping feature suggests the communal aspect of their society. His method, Solar drawing, employs the sun’s rays and a magnifying glass which is denotative of the union of culture and technology. 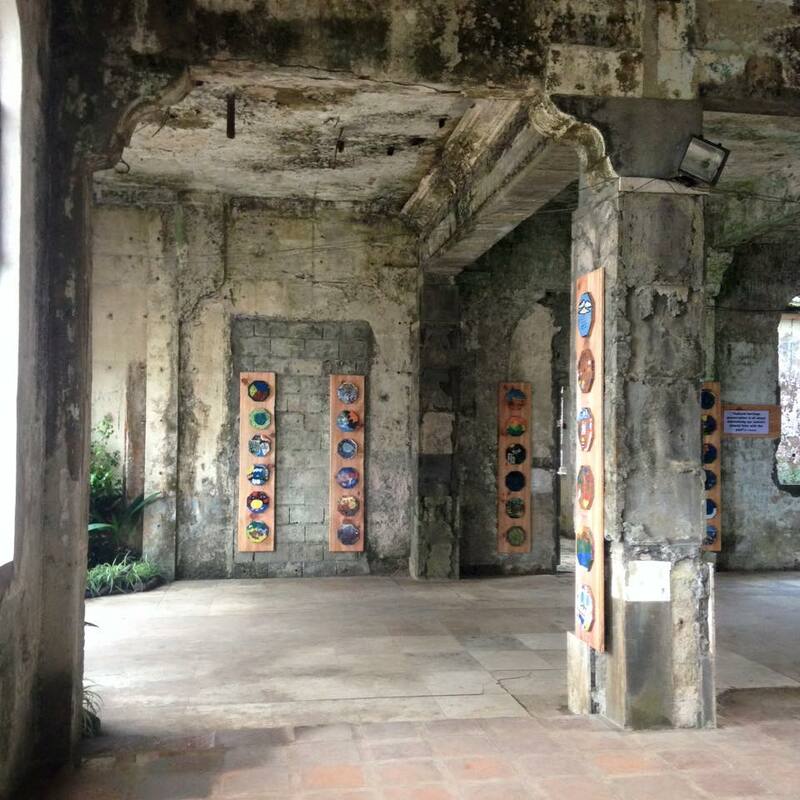 As much as their concepts tackle on their discussion and opinion regarding the Cordillera culture, each of the artists’ unconventional media also bespeaks of the same matter. Works of sand, rubbercut, mixed media and the sun are not of the traditional Cordillera art per se. But, utilizing nouvelle artistic methods in exemplifying and portraying images of tradition and culture makes a sensible, profound and significant discourse of the existing Cordillera society. The most dangerous path is the one that leads back to you. This is a bridge long gone. Who waits on the other end? This is the first time my writing will be published for an exhibition. I have not engaged in that sort of writing for I actually have issues regarding writing for commercially-oriented institutions. 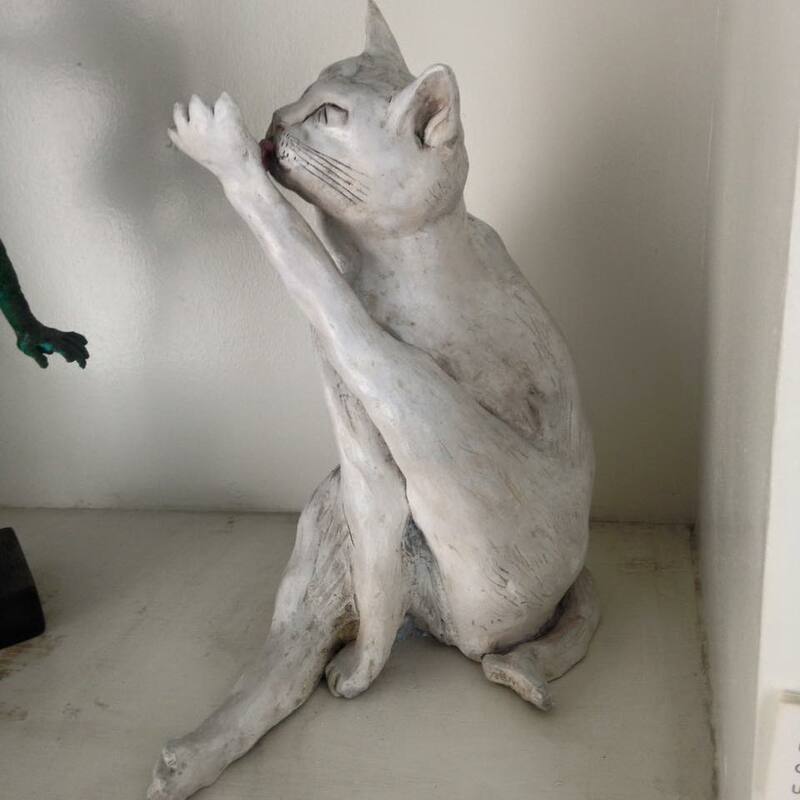 Thus, I have continually questioned my position being a Gallerist and an Art Writer at the same time. But this time, I gave it a shot. I wrote for the Tam-awan Village Artists’ show at our gallery. I have persuaded myself to write for the show since it’s a way of showing my gratefulness to them with all their help for my undergraduate thesis and it has become my advocacy to promote and proliferate the awareness of the Cordillera culture. Also, I would not be marketing or selling the show in any way through my writing. It was a little nostalgic writing about these artists. I even used my thesis as an extra literary source. I was still just as inspired and enthusiastic in writing about them. Only, I opted not to be highly-theoretical of their show. I must assume that not everyone who is going to read the article is knowledgeable of art and all its complexities. In this kind of writing, I must be able to discuss the works, the artists and the exhibit in the simplest way possible. I must speak of everything in a conversational manner. I must forget quoting Roland Barthes, Suzanne Seriff and Jean Dubuffet, but must not forget to relay their ideas in blunt and comprehensible language. Yes, I wrote in a very conversational way. Not in any way similar to my writings before. It was not even close to my answers in my college exams. But I did not deem it mediocre, it was really part of this job that I have to adjust with the spectators. So I have realized, this must be a way of galleries in educating viewers. I just hope that was pretty effective. That. Only that, because I found this task relatively nouvelle. And I’m thinking of posting the article here. What do you think? Should I? or Shouldn’t I? It was like a nightmare. To awaken from a deep slumber of our souls and ghosts meeting again. I have never traced stars on your skin. Yours were my first constellations. With every little touch, be it under the rain or midst the cold wind, they sparkle. You did not have the chance to feel them. You have not seen them even. You were gone, long before they existed. You were the same words I have spoken since the first day. We have forgotten the poetry we have weaved together. But I still use the same rules we have established in writing my love letters. I have sealed them each in an envelope. I have kept it under my earth and shall be excavated and sent to your doorstep with a ribbon only when I’m forever gone. Our bleeding tongues met in prose and poetry engraved in stones. So I have bled during confession, yet ceased to do so after which. And shall bleed of you no more. I do not have any plan of ripping this post off my old journals but I found myself saving this crumb of a blog post from my soon to be eternally effaced Friendster account. Also, the artist I was pertaining to here just visited the gallery some minutes ago while I was out. It would have been great if I had another tete-a-tete again with him as I warmly welcome him to my workplace as much as he did years ago. So here’s nostalgia and utter gratefulness seeping into me again, thus, the repost. Who would have thought I would get to have a chance to have a pretty inspiring conversation with an artist. Big thanks to stereotypes and such romantic notions, it becomes a grace when you get to break them! It was an extremely hot day (it’s the hot-for-Baguio-but-quite-ordinary-for-Manila type of weather). Too bad, it coincided with my office-hopping day. Thesis, I never thought, would be this toilsome. It’s interview galore! It was such a blessing to bump into Mr. Willy Magtibay. I caught him taking shots of the KKK exhibit (that’s the De Guia brothers for you!). His eyes sheepishly rolled over the exhibition place then suddenly darted to me. Pooft! I asked him several questions and he fired them back to me in mumbles. He chuckled and asked me to join him for a cup of coffee. 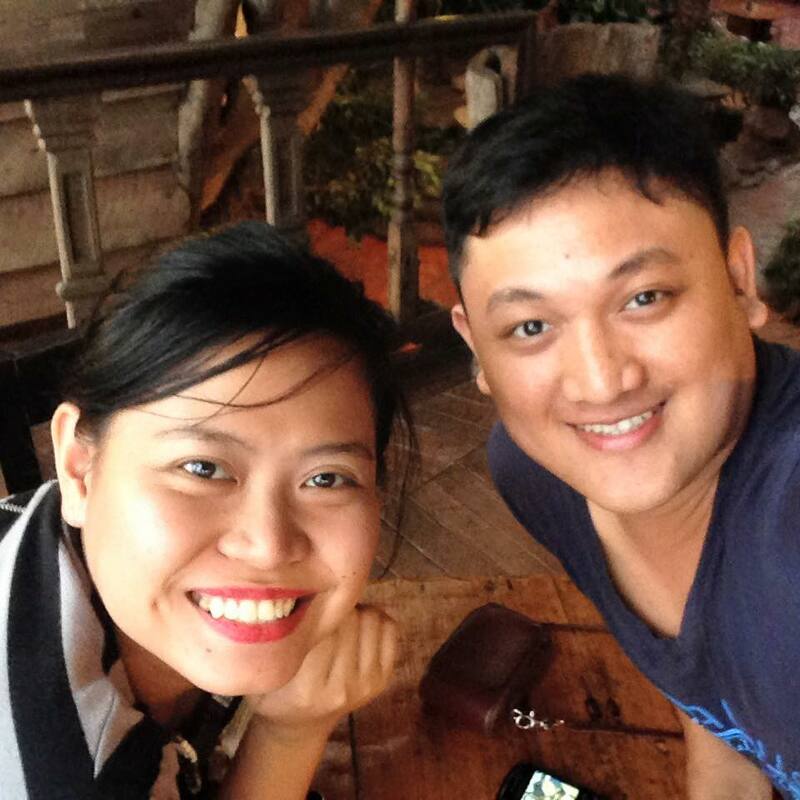 Sitting at Oh my Gulay’s veranda, the sun’s rays stung my skin. I started making queries again. This time, he answered them more seriously. It took him a little more than three minutes to answer each question. And I did realize his tendency to spit out the same questions back, though in a situational way (think what-will-you-do? exam type in religion subject back in grade school). But his whirlwind of answers really did help. After my scholarly business, he started talking about his life as an artist…stories indeed worth contemplating. With these lines, he stressed the importance of identity and its significant relationship with the things people do. It made think about myself – if the things I am doing are rooted with who I really am and what I want, if they are genuinely my choice and not influenced by somebody or anything else. You see, there are things we are good at for a reason we do not even know – and they, most often than not, are where we get to excel at. It’s just because they are what we are gifted of but fail to realize because of the forces that intervene our definition of ourselves. The only step is to look deeply into who we really are. Through that, we would know what constitutes our life’s fulfillment, be able to distinguish the phases we have to undergo, and win over the turbulences we may encounter. In the end, we not only found ourselves, but have worked towards what is no less than us. This exchange of words made me laugh at myself. True enough, as much people know of me, I’m such a worry wart and an escapist. But honestly, I have an uncanny mixture of both – I’m certainly not that good at escapism that it does not usually help me break away from the worries that darts into my head. This one served as a lesson. Why worry about a certain thing when you have a choice to ponder about another thing that does not require as much stress as the other one? It’s much like “choosing the lesser evil” type of situation. Common! I have not thought of that all along. Indeed, worrying still needs a little funneling to preserve sanity. This conversation on the other hand just made me miss my father. It’s like papa’s girl attack. Yes, I’m indeed guilty of that. But putting such aside, this really sounded like a fatherly advice and what made it more heartfelt is that it came from someone I hardly knew, someone I have known for merely an hour or even less. But he just blurted out these words as if preaching over his own daughter. The moment he said these, I just found myself a little lot younger than who I am now in the old Sunday afternoon setting: my father sitting at the sofa telling stories of how life has been to him, telling me and my siblings (either lying or playing with our toes over a thick layer of carpet) there’s still much in store the world would bring us, and what we should just hold on to is what we believe in, what we have learned, and what we know. Simply put, who we are. But I have not talked like that with my father for quite a time. My conversation with Sir Willy Magtibay was just in time for my twentieth birthday. It served as a refreshment of what my father has told me years ago. Perhaps to help me look into myself back then, look into myself now and look into myself in the future. It helped me think about where I am now since then and where I will be from now. One more lesson. I realized it does not necessarily hurt talking to strangers. As a matter of fact, talking to people unknown to you makes yourself known to them and them, known to you. And what’s better? You get to learn and grasp wisdom you could have never imagined. Thanks for sharing your wisdom to me Sir Willy. You are an artist as much as a genius.